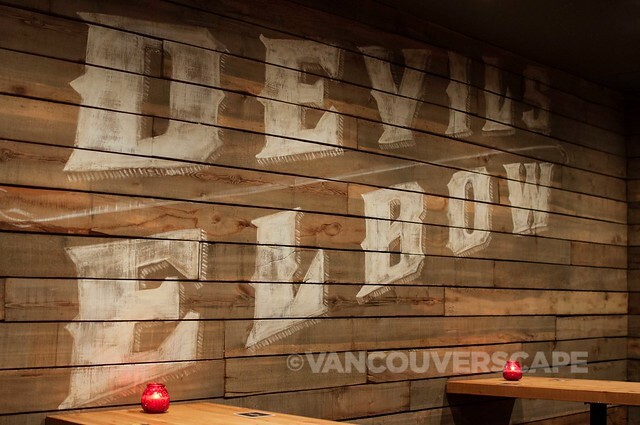 It’s been a few months since Devil’s Elbow Ale & Smoke House, a restaurant showcasing Howe Sound Brewery beers, opened in the former Chambar space on Beatty Street. 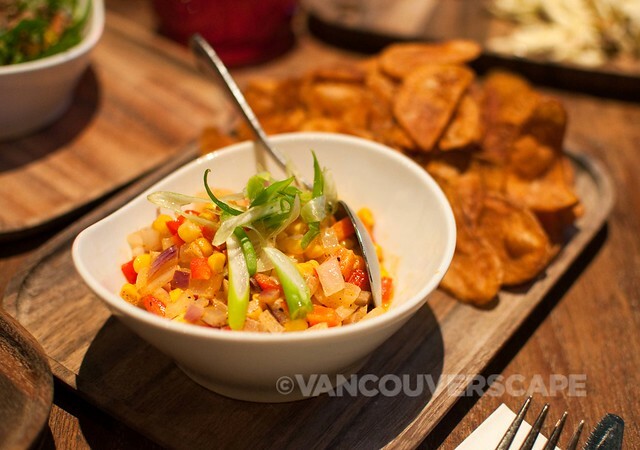 We attended the opening to check out the initial menu offerings as well as enjoy the welcoming, relaxed vibe. 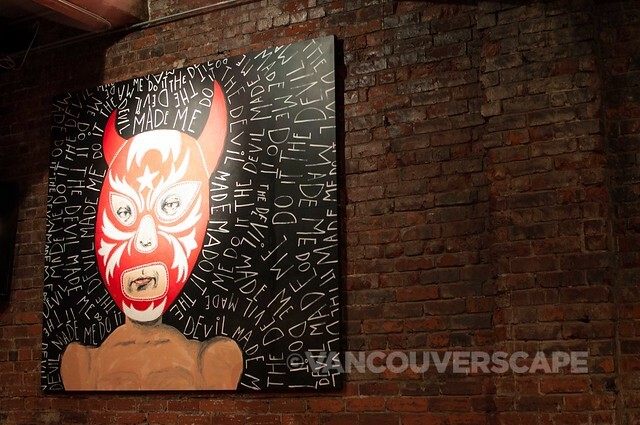 The inviting space seats up to 170 people between the front bar and side and back tables, incorporating a rustic feel with locally-made devil-themed art on the walls commissioned by Howe Sound Brewery’s graphic designer Tom Pedriks. 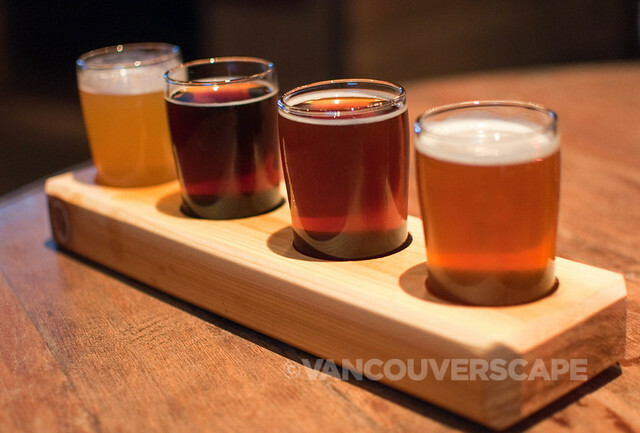 This is the only spot in the city where you can sample from 16 Howe Sound Brewery beers. There are also four rotating guest craft beer taps to choose from. 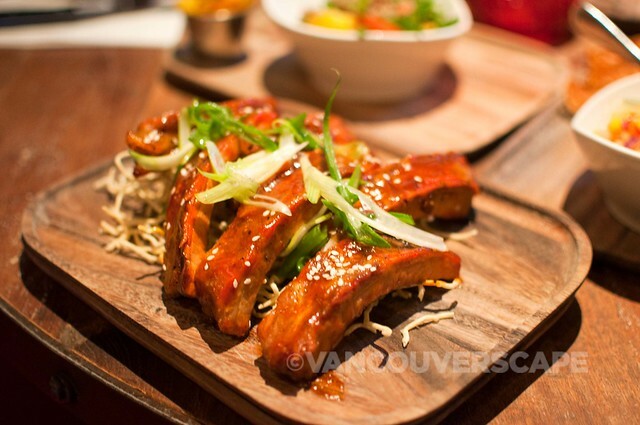 In addition, find a full range of bourbons, rye, whiskeys, scotch, cocktails and BC wines by the glass on the menu. 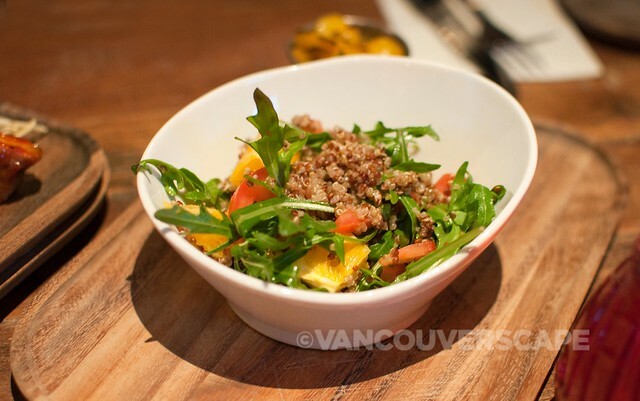 We were also happy to see the addition of more salads and seafood options on the brand-new menu, which according to General Manager Trevor Magee, is set to rotate for each season. Of course, no visit to Devil’s Elbow would be complete without a few craft beer samples. We chose two beer flights. Alongside these randomly-chosen beers (there were four of us ordering), we decided on a sampling of several appetizers, salads, meats and sides, and before long, the entire wood-topped table was filled with what looked like half the menu. Chef David McLeod’s menu is broken down into Snacks (chili to Asian sticky ribs), Salads (including an awesome vegan quinoa salad with rainbow quinoa, cucumber, orange, arugula, pepper in an orange vinaigrette), Sandwiches (ranging from smoked pork banhmi to brisket; pulled jack fruit sandwich for vegans), Meat and Fish plates (pork back ribs, sablefish, and a share plate of any three meats on the menu; $39), Sides (sautéed asparagus, coleslaw, IPA mac ’n cheese, smaller portion of quinoa salad; all $4) and Desserts (don’t miss the new Devil’s Bomb, a sinful creation that marries dark chocolate mousse with macerated cherries, chocolate chunks in a dark chocolate glaze, finished with raspberry coulis; $8). The baked beans were delightfully rich yet not too sweet, completing both the pulled pork and sips of Wee Beastie Oak Aged Scotch Ale and Pothole Filler Imperial Stout. Not shown here is a glazed Coho salmon served with maple soy glaze with beets, toasted almonds, and a feta and cucumber salad ($13), highly recommended, especially with a glass of Pumpkineater Imperial Ale or Sky Pilot Pale Ale. 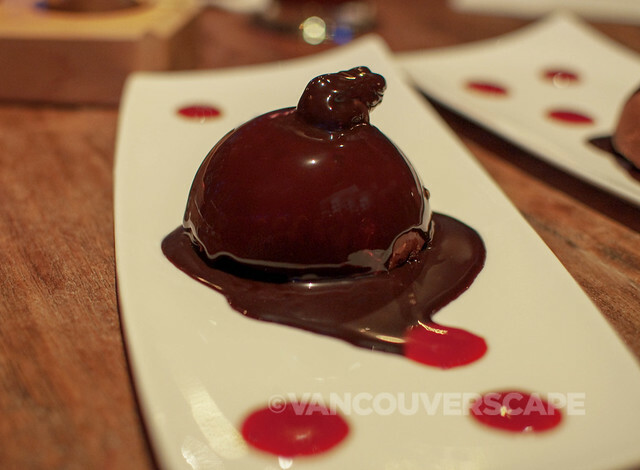 The rich chocolate Devil’s Bomb works well with the Bulleit Bourbon Porter. All hail the Hopraiser West coast IPA, which was just so flavourful on its own (using lots of Pacific Northwest hops, brewed using Munich, Wheat, and Pale malts). Howe Sound Brewery’s pastry chef Amanda Bazett will be bringing back both the hemp brownie and deep-fried cheesecake to the dessert menu. 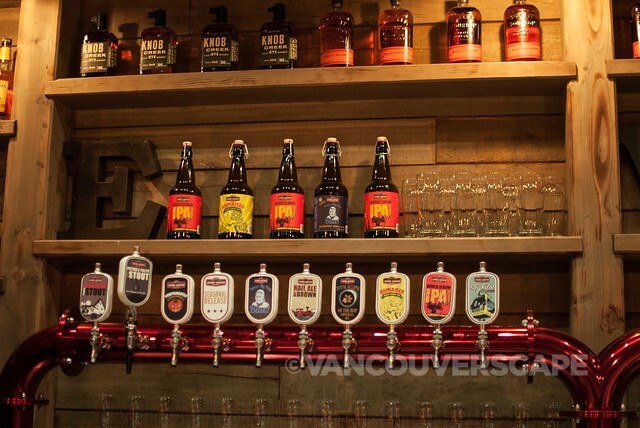 We can’t stress enough how lucky we are that Howe Sound Brewery decided to open a beer-centric restaurant right in the heart of Vancouver, as most restaurants only offer two to three of their brews on tap at any one time. 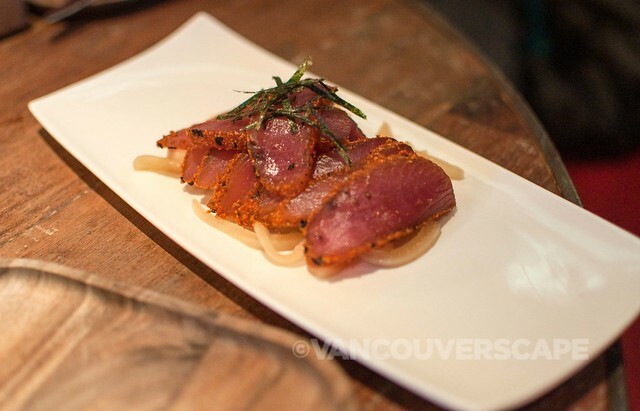 If you’re not up for making the drive up to Squamish, this makes a great option to enjoy a wide variety of craft beer and good ol’ comfort food as well as some great salmon, sablefish or salad. 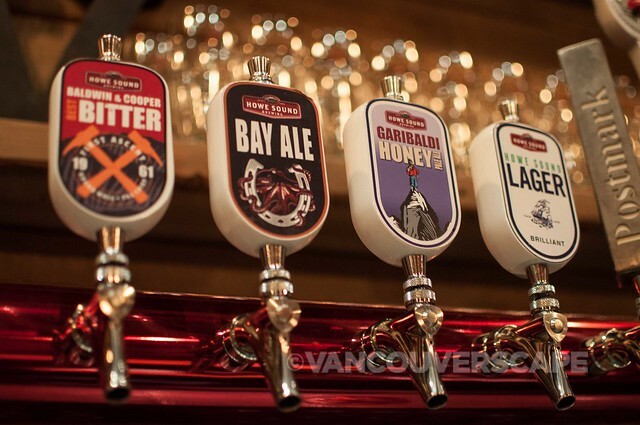 Mark your calendars: the Third Annual Tap Takeover returns on Saturday, March 28 to Howe Sound Brewery in Squamish. 26 guest breweries will each get a tap to showcase their best brews. From 11 am to closing, your $35 entry ticket includes an HSB mason jar plus eight drink tokens. Live music by Cam Salay, 15-year-old Brackendale blues sensation Michael Kilby, and The River & the Road will keep the good times going. 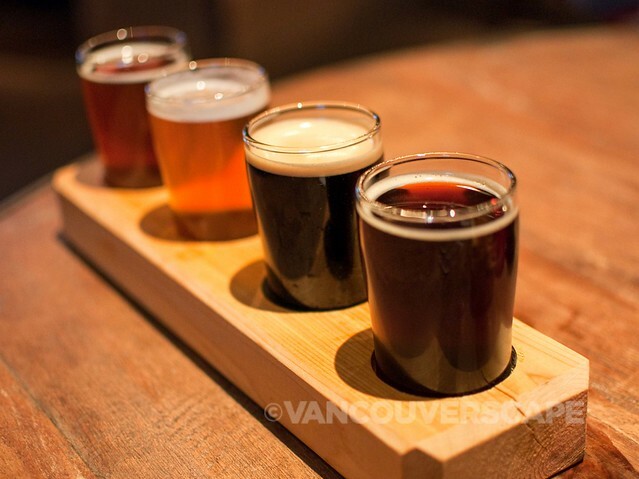 Craft beer lovers should also note that Squamish’s Inaugural Beer Festival will take place on July 11. More details to follow. 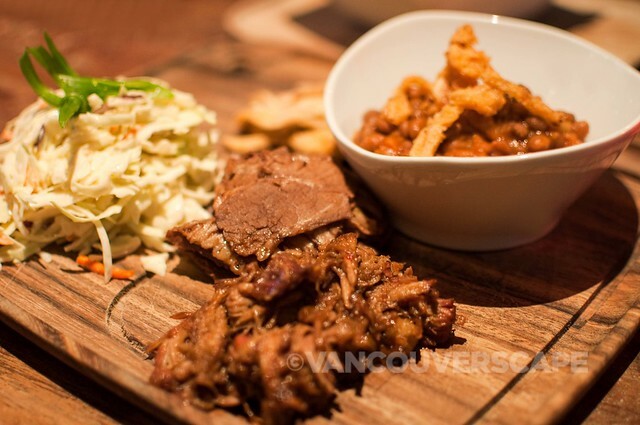 Devil’s Elbow Ale & Smoke House is located at 562 Beatty Street in Vancouver and is open 11:30 am to midnight from Monday to Friday, 10 am to midnight on Saturday and Sunday and serves weekend brunch.